Specials: Mr. Scott The Music Man! I live in Lafayette with my husband and 2 sons (Both Active Louisville Kids!). I was born and raised in Virginia. After graduating from Virginia Tech in 1998 I worked in office management in the Washington DC area. 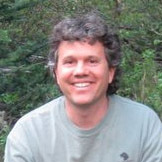 In 2004 I followed my dream of moving to the beautiful state of Colorado and working with young children. How long have you worked with children? I’ve worked with children for more than 20 years. I started working in childcare while I was in high school (1992-1993) as my first after school job. I was the afternoon preschool assistant at Fairfax Montessori in Northern Virginia. While earning my Early Childhood Education Director’s Certificate, I was a lead preschool teacher and then a nanny. For the year prior to starting my first center, Active Boulder Kids (2007-2017) I served as the Primary SAC (School Age Children) Supervisor for Boulder Valley School District at Community Montessori Elementary School. That year, I was also the lead CPKP (Colorado Preschool Kindergarten Program) teacher for the spring semester at YWCA’s Children Alley. 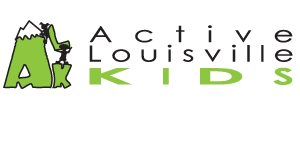 I was the lead preschool teacher and Director at Active Boulder Kids for 7 years before becoming the director at Active Louisville Kids. Even as the director, I’m a sub, so I get to be in the classroom a lot! My educational philosophy is children learn best through ACTIVE exploration of their environment. Active bodies and active minds! Children need fresh air, nature, and movement as well as positive guidance and modeling from adults. I believe in relationship-based learning and encourage all teachers to start the learning process by building trust and a secure attachment with each child. I believe in the power of learning through play. During play, children discover their world as they explore, create, image and figure things out! What are you most passionate about when working with kids? Children’s sense of wonder and imagination. When a child discovers a new talent, I get to see the delight, surprise and joy in their young faces… It’s priceless. The endless joy that comes from the constant sound of laughter and hearing “I did it!” as they learn just how much they can actually do on their own. Each child grows more independent and confident right before our eyes. Amazing! Anything else you want families to know about you? I love our community! I’m always looking for more ways to expand our family participation and activities. I would love any ideas you have to share! I am grateful each day for all you you! Mary moved to Colorado in 1991, from Vermont. She loves to ski, play tennis, swim, bike, and travel by car to places near and far. 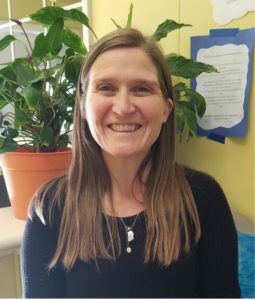 Mary has worked in the areas of recreation and education in a variety of areas and locations around the US and the world, including California, Alaska, Germany and Italy. 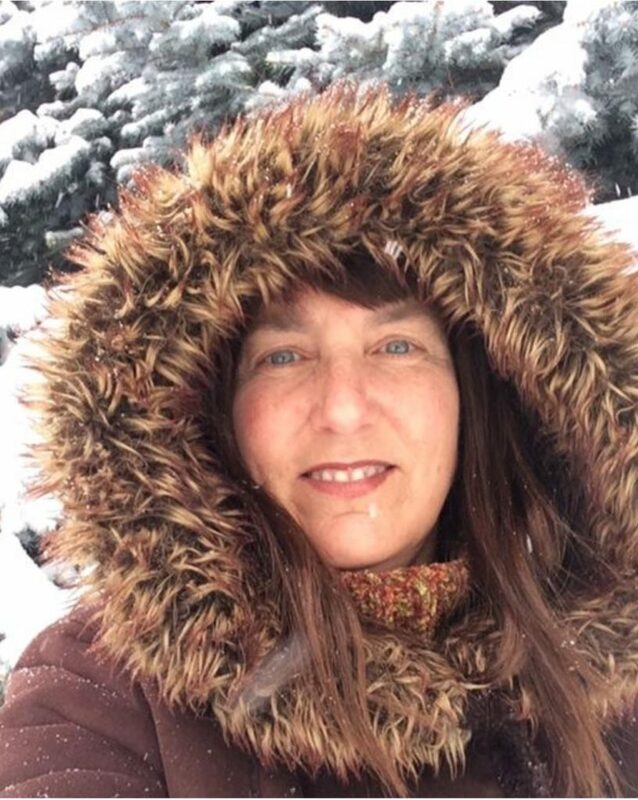 Her professional experiences include working as a swim instructor/trainer and lifeguard/trainer, US developmental ski coach, snowcat operator, inline skate instructor and coach, Big Brothers Big Sisters Director, outdoor educator at a nature center in Beverly Hills, middle school science and one room school house teacher. 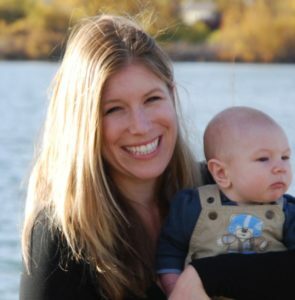 In 2014 she began her career as a nature preschool teacher, in Carbondale, CO. Her masters work included training by David Sobel, in Place-Based Education, and the field of nature pedagogy. 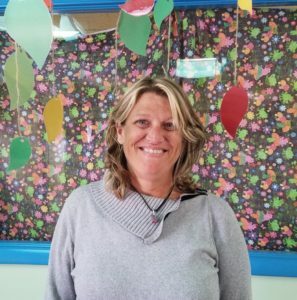 Mary travelled to Rapallo, Italy in the winter and spring of 2016 to train the director of a pre-school to transition her school into a nature preschool. When she returned to the US she moved to Boulder, and before coming to ALK begin the Pre-K Out & About program, she worked at the Commerce Children’s Center with infants and toddlers. Mary volunteers as a visitor center host and animal care provider at Luvin’ Arms Farm Sanctuary, in Erie, CO. Three of her 5 siblings live in the Boulder area, as does her step mother. She loves going to live music and comedy shows, and attending film festivals. She was a volunteer DJ at Carbondale’s KDNK Community Public Radio station, which combined her love for learning new things, music, and talking! I believe all children, at every age, need free time spent outdoors in their natural environment, with caregivers who provide caring guidance and support. I have always believed in children’s ability to create learning that meets their current interests, passions and ability levels. I am most passionate about nature and place-based education, which is rooted on the foundation of empowering children to develop their intellectual, social and physical abilities while learning to manage risks and avoid hazards of every day life. Mary is excited to continue learning and practicing her skills in place and nature-based learning, as well as sharing her knowledge and passion with the ALK community. Tell us a little about yourself: I am Li Wu. I was born and grew up in China. I have been living in beautiful Boulder Colorado since 2007. I really love teaching children. I have worked in Denver Language School and Global Village Academy Northglenn public charter school with kindergarten for 4 years. I have been working at preschool as lead teacher since 2016. Educational Philosophy: My philosophy of education is that all children are unique and must have a stimulating educational environment where they can grow physically, mentally, emotionally, and socially. It is my desire to create this type of atmosphere where children can meet their full potential. I will provide a safe environment where kids are invited to share their ideas and learn from daily activities. What are you most passionate about working with kids: I love watching them to use new skills they learn from my class that no single day at work is the same! Children come to see me for counseling for many different reasons. Even though sometimes the underlying difficulties are similar, the counseling approach for each child is always different. This is because we don’t only focus on the difficulties the child is having, we focus on the child’s strengths, and we also take into consideration their age, personality, what they like to do/play, and so on. Anything else you want families to know about you: In China, I have worked as a museum guide and I gave tours to groups ranging from children to national leaders. I often went to schools to teach students about Chinese history and Chinese traditional culture. I trained volunteers from different social classes such as workers, students, reporters, retirees and government employees. I have over 10 years experience in communicating with and teaching different age of people. I moved from Arizona as a kid and now happily call Colorado my home! I attended Northern Arizona University with a focus on elementary education before transferring to Metropolitan State University in Denver to continue my education degree with a minor in speech pathology. When I’m not spending time working or volunteering with children I love to hike and read. I began working in formal childcare settings four years ago but have prior experience as a nanny and I have loved every minute of it! I believe in creating a secure, supportive environment that promotes positivity, acceptance and self-assurance. I also value a classroom community that encourages respect for all people and things by allowing sincere expression and having fair, consistent expectations. In agreement with our school philosophy, I see children as active learners and consider their surroundings to be the most effective teaching tool. My goal is to make learning self-motivated and enjoyable while fostering individual growth by providing developmentally appropriate experiences. Why are you passionate about working with kids? Working with children is very rewarding to me. Whether it’s an unexpected challenge, a funny moment, or a random hug, everyday brings something new to appreciate. Not only do I genuinely enjoy what I do but I respect the worth and value of every child that enters my classroom and I am committed to focusing on their well-being. I hope to make a difference to each and every child I encounter. I am a Colorado Native through and through. I grew up in Erie CO, and currently, live in Lafayette. I love Horses and being outside. I also enjoy Photography and hanging out with my family. 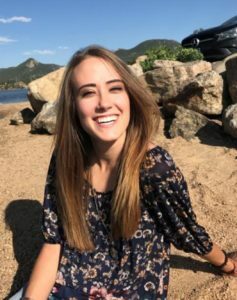 I have been working with children for over 5 years, I started as a nanny 3 years ago in 2013, then decided to move forward in Early Childhood Education. I enjoy knowing that no mattered how rough a day is going children use their imagination to make something out of anything. Children are very imaginative and anything can be anything in the eyes of a child. Give a Child a pillow and they see a cloud or a trampoline. I have a twin brother, Jaggar, who is one of my best friends. Tell us a little about yourself: Born and raised in Colorado, I currently live in Longmont with my husband, daughter, 2 dogs and our cat. I love being outdoors. I graduated from Metropolitan State University with a bachelor’s degree, but have decided to follow my heart and pursue early childhood education. How long have you worked in ECE/with children? I have always been interested in early childhood education. Right out of high school I was a nanny, kids ages from 3 months to 13 years and I loved it. After having my daughter I decided to get into early childhood education. What is your Educational Philosophy? Active and playful learning. I think that kids learn best by seeing and doing. I love watching children explore and learn using their imaginations and watching kids figure the world out. What are you most passionate about when working with kids? I am most passionate about helping kids express themselves and use their imagination, watching them grow physically, mentally, and emotionally. I love to help them explore the world. Anything else you want families to know about you? I love farm animals, I grew up on a small farm with them most of my life and my dream is to be able to have a small farm of my own with farm animals again someday. I’m a single mom of two wonderful boys. we live in Longmont Colorado! We love to play outside together on the weekends, and play with our two cats, Sonic and Beauty, and our dog, Vader! I have lived in Colorado for 39 years, off and on, but I keep coming back because I love it so much! I started working with children as a babysitter when I was younger, but have officially been in the field 3 years. I think that children learn best with hands on experiences, while I am working with them at their level and building from there. Hands on learning allows a child to create things in the way they want. The teacher’s job then is to guide and scaffold the children’s learning. I love working with children because I enjoy watching them grow and learn and build their confidence. It is great to see what they are able to accomplish. It feels so great to facilitate their learning and to celebrate their successes. I love hugs and cuddles! Christmas is my favorite holiday. I have lived in Colorado for over 40 years and love the mountains. I live with my husband, two beautiful kids, and three goofy dogs. I have been working in early childhood education for over 15 years. I have worked in small mountain schools and large centers in the city. For two years I was owner/operator of a high quality, licensed, home child care center in Black Hawk. I also worked as a nanny for a great family for four years. More recently I worked as a para-educator for kindergarten enrichment for Boulder Valley Schools for 3 years before coming to Active Louisville Kids. My education philosophy is that children learn best through hands learning and is definitely play based. I believe in looking at children as individuals and treating them with love and respecting their differences. I have seen that children thrive when supported through new experiences, trying new things, and learning through doing. I believe that by creating a nurturing and safe environment, children can reach their full potential and learn more about the world when they feel safe and supported. I am most passionate about creating a safe, fun, loving environment for children to grow and learn. I love to see them learning and mastering new ideas and growing through the stages of childhood. I love children, dogs, and nature. My dream is to have a farm of miniature animals. Someday I would love to have a cabin in the woods someday and a garden full of veggies in the yard. Mr. Scott The Music Man! Every Wednesdsay morning, all year, Mr. Scott (Medina) comes in with his childlike sense of humor instruments and puppets. The kids love to sing, dance and anxiously wait to see what puppet will emerge from the Magic Music Bag to gobble up the instruments. Mr. Scott the Music Man has been bringing is lively music classes to thousands of preschoolers for the past dozen years. Mr. Scott’s focus is on making music fun and accessible to new generations, while incorporating teaching concepts of colors, numbers, the alphabet and much more. With his Magic Music Bag filled with instruments and puppet friends, you never know what will come next, but a healthy dose of active interaction and silliness is a sure bet! Mr. Scott offers a professionally filmed hour-long DVD concert which receives heavy rotation in many youngster’s homes; let him know if you’re interested in a copy or in a musical birthday experience the kids will long remember!